Most of the meat, poultry, dairy, and eggs sold in American grocery stores and restaurants come from animals raised under intensive conditions on “factory farms.” Animals on these operations suffer pain and distress as a result of extreme confinement, bodily mutilations without pain relief, and denial of the opportunity to behave normally. Consumers have the power to change this through the food choices we make every day. Farmers will produce, and retailers will sell, what shoppers demand. Seemingly small changes—like switching brands in favor of a more humanely raised product or consuming fewer animal-based foods—can make a big difference in the lives of farm animals. Unfortunately, the knowledge required to navigate the complicated world of food labeling claims is not always easy to obtain. If consumers are not provided with clear information on the significance of animal-raising claims such as “free range” and “humanely raised,” they can be easily misled into purchasing a product that is not consistent with their personal values. AWI is committed to helping compassionate consumers locate food from animals raised to high-welfare standards, as well as to revealing inaccurate and misleading labeling schemes. Many food labels are confusing and some are downright deceptive. There are several options for finding higher-welfare animal products. The best way for consumers to learn how the animals connected with a particular food item are treated is to visit the farm in question. Unfortunately, this is not a realistic option for most people. However, most people live in close proximity to a farmers markets where you can meet farmers and learn about their animal-raising practices. The next best approach is to choose animal-derived food products that are certified by an independent third party as having come from animals raised on higher-welfare, pasture-based farms. If you are looking for higher-welfare eggs, chicken, or turkey, you can also go to the "Buying Poultry" website and enter the name of a retailer near you to find information about the welfare standards associated with the poultry products it sells. If you cannot find higher-welfare products in a store near you, please speak up and tell your local store that you would like to see these products on its shelves. Lastly, the Cornucopia Institute’s organic egg and dairy scorecards can help you find products from higher-welfare farms. The scorecards include links to the farms’ websites to locate where to buy their products. 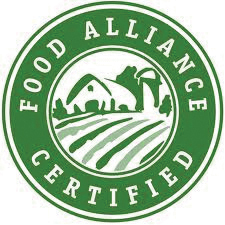 This third-party certification program has the highest standards for animal welfare and is the only multi-species welfare food certification program that requires that all animals be raised outdoors on pasture or range. It was created and formerly administered by the Animal Welfare Institute. It is now administered by the nonprofit A Greener World, which also offers a “grassfed” certification that features the same high animal welfare standards. This is a rating program as opposed to a certification program with one set of standards. Producers are rated on a six-tier scale, from Step 1 to Step 5+. Only Steps 4, 5, and 5+ require pasture access for animals. Standards for Steps 1 through 3 are not sufficiently strong to be considered high welfare for farm animals. If you purchase animal products at Whole Foods Markets, look for those labeled as Global Animal Partnership (GAP) Step 4, 5, or 5+. Administered by the American Grassfed Association, this program requires continuous access to pasture and a diet of 100 percent forage (no grain). Feedlots are prohibited. However, pain relief is not required for physical alterations, and there are no standards for the handling of animals during transport or at slaughter. 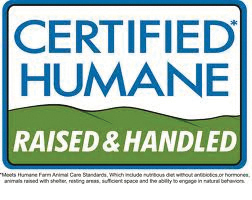 This animal welfare certification program is administered by the nonprofit Humane Farm Animal Care. Although access to the outdoors is not required for meat birds, egg-laying hens, or pigs, indoor environmental enrichment must be provided for these animals. Unfortunately, feedlots are permitted for cattle. The program offers a “pasture raised” option for eggs that meets AWI standards. This certification program is tailored to small-scale, direct-market farmers using natural methods. Developed to be a streamlined, less expensive alternative to the USDA Organic program. Inspections consist of a peer review conducted by another farmer. Animals—including poultry—are raised mostly on pasture. Standards are based on the USDA Organic program with additional requirements for animal welfare including minimum outdoor space for birds. In addition to animal welfare, this certification covers treatment of workers and the environment. Unfortunately, access to the outdoors is not required for all animals. Compliance with 100 percent of the standards is also not required. The certification is administered by the USDA according to federal regulations. Genuine outdoor access is not required for poultry, and vegetation is not required for pigs. Cattle, sheep, and goats must have access to pasture. 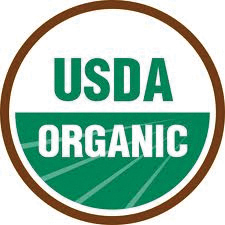 The level of animal welfare likely varies widely among USDA Organic producers. The label is meaningless when used on chicken or turkey products since, in the United States, birds raised for meat are not typically housed in cages. This label claim merely means that the product has no artificial ingredients and was minimally processed. The claim has no relevance whatsoever to how the animals were raised. This claim has some relevance in terms of animal welfare for beef, bison, and lamb products. However, hormones are already prohibited by federal regulation for use in poultry, pork, and veal products. Use of a “no hormones” claim on the label of these latter products is therefore superfluous and does not distinguish them as higher welfare or healthier than any competing poultry, pork, or veal product. The USDA conducts audits to verify that the company is following its own standards in raising animals. Hence, the meaning of a term such as "humanely raised" can vary widely among producers and all can receive USDA Process Verified approval for the claim. Even products from factory-farmed animals can carry the USDA PVP seal. To read more about how you can make more informed eating choices, check out our Food Label Guide for detailed explanations on claims used on food packaging.